Div. Physical Med. and Rehab. Please note that I am not accepting any new students or trainees for the foreseeable future. Due to the volume of queries, I apologize that I am not able to respond to requests for information about future supervision opportunities. Dr. Patrick M. Pilarski is a Canada Research Chair in Machine Intelligence for Rehabilitation at the University of Alberta, and an Associate Professor in the Division of Physical Medicine and Rehabilitation, Department of Medicine. 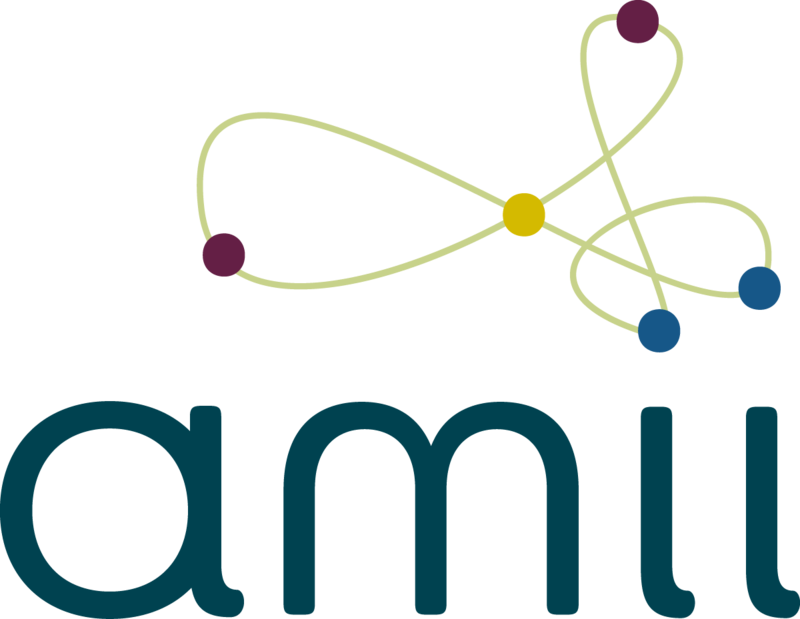 Dr. Pilarski is a Fellow of the Alberta Machine Intelligence Institute (Amii) and principal investigator with the Reinforcement Learning and Artificial Intelligence Laboratory (RLAI). Dr. Pilarski received the B.ASc. in Electrical Engineering from the University of British Columbia in 2004, the Ph.D. in Electrical and Computer Engineering from the University of Alberta in 2009, and completed his postdoctoral training in computing science with Dr. Richard S. Sutton at the University of Alberta. 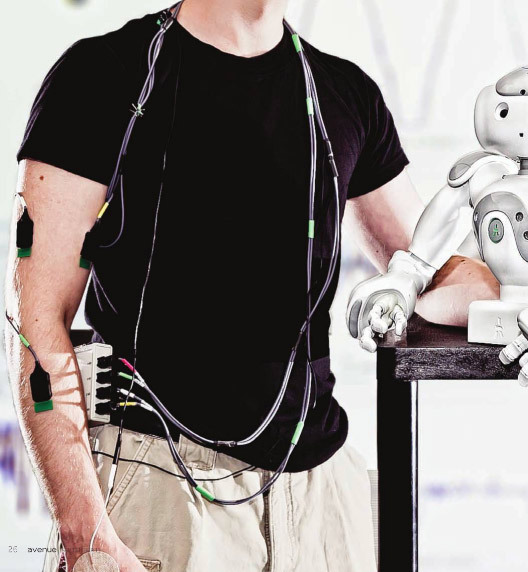 Dr. Pilarski's research interests include reinforcement learning, real-time machine learning, human-machine interaction, rehabilitation technology, and assistive robotics. He leads the Amii Adaptive Prosthetics Program—an interdisciplinary initiative focused on creating intelligent artificial limbs to restore and extend abilities for people with amputations. As part of this research, Dr. Pilarski explores new machine learning techniques for sensorimotor control and prediction, including methods for human-device interaction and communication, long-term control adaptation, and patient-specific device optimization. He has also pioneered techniques for rapid cancer and pathogen screening through work on biomedical pattern recognition, robotic micro-manipulation of medical samples, and hand-held diagnostic devices. Dr. Pilarski is the author or co-author of more than 70 peer-reviewed articles, a Senior Member of the IEEE, and is currently supported by provincial, national, and international research grants. 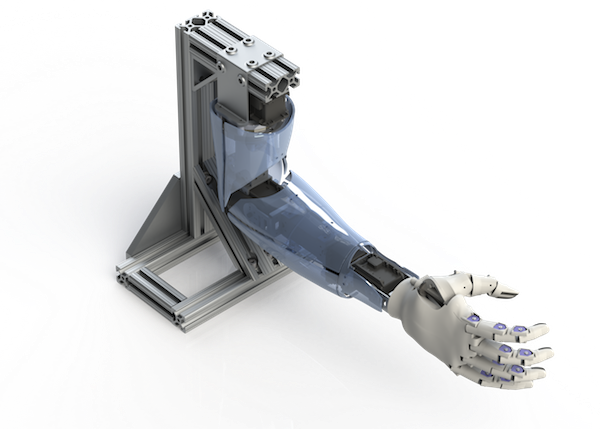 Real-time machine learning for artificial limbs and multi-function powered prostheses. Algorithms and adaptive computational techniques that increase patients' ability to customize and control their assistive biomedical devices and environments. Prediction learning to improve users' ability to switch between the modes and functions of assistive devices. Long-term brain-body-machine and brain-computer interaction. Reinforcement learning and artificial intelligence methods for use in complex real-world environments. Human-machine interfaces: theoretical and applied methods for communicating between complex distributed systems. Human instruction and training of machine learning systems. 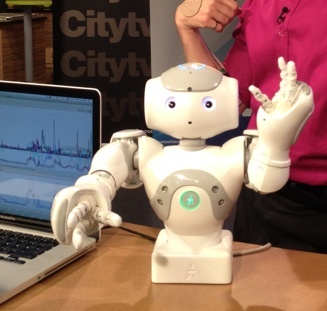 Prediction, representation, and control learning that is grounded in data-dense, real-time sensorimotor experience. Continuous-action actor-critic policy gradient algorithms. Model-free interpretation of real-time, multi-signal human biofeedback (for example, myoelectric signals). 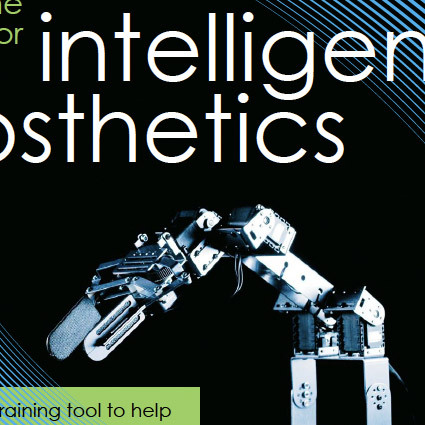 Outcome measures based on motion capture, eye tracking, and biosignal tracking for prosthetics and other human-machine interfaces. 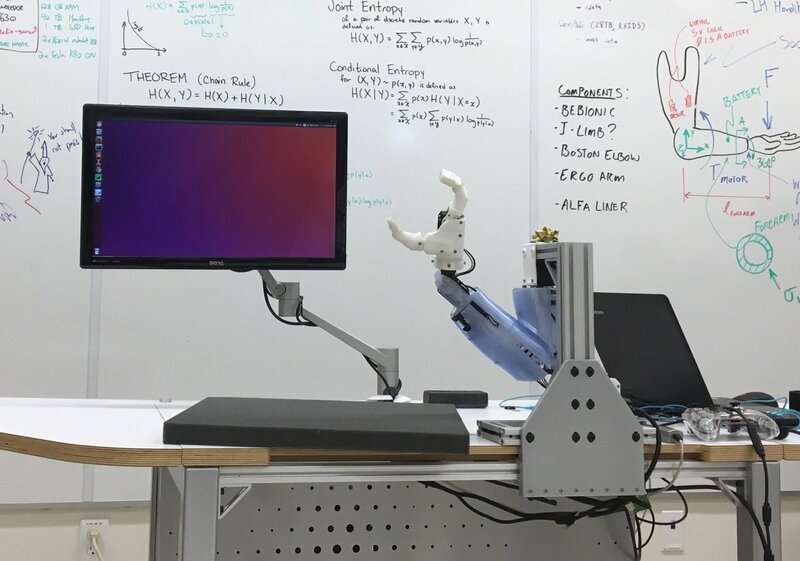 Above: Custom robotic hardware, designed by our group with machine intelligence in mind—the Bento Arm with attached HANDi Hand (image thanks to M. R. Dawson). Artificial intelligence, reinforcement learning, and machine learning. Human-machine interfaces, adaptive distributed systems, and cognitive science. Biomedical image analysis, pattern analysis, data mining, and computer vision. Autonomous mobile robotics and rehabilitation robotics. Above: The HANDi Hand: Open-sourced robotic hardware, designed by our group to study how different learning representations impact assitive technologies. Now Junior Machine Learning Expert at Eidos Montréal (Square Enix); previously at Sofdesk Inc.
Now an AI Engineer at Kindred Systems Inc.
"Lab in a matchbox can detect E. coli at meat plants within one hour: A virtual 'molecular copying machine' makes enough genes to allow quick test results,"
Article by Bill Mah, The Edmonton Journal, July 15, 2013. "Edmonton Clinic: Health science students at the U of A have a new place to learn"
"The Arm that will Blow Your Mind"
"Paving the Way for Intelligent Prosthetics"
Patrick M. Pilarski is the co-editor of DailyHaiku, an international journal of contemporary English-language haiku, and poetry editor for its new sister publication DailyHaiga. He is author of the poetry collection Huge Blue (Leaf Press, 2009), and the chapbooks Contemplating Vows (with Nicole Pakan; Katabatic Books, 2011) and Five Weeks (2007). Patrick's creative writing has appeared in journals and anthologies across North America, Europe, Australia, and Japan, and on CBC Radio One as part of the CBC Poetry Face-off. An active member of the literary community, he has served as an organizer for the Edmonton Poetry Festival and as the Vice President of the League of Canadian Poets. Scuba diving and martial arts. Gardening and tropical fish keeping. Graphic design, visual art, and 3D animation. P.M. Pilarski, A.L. Edwards, and K.M. Chan, “Novel Control Strategies for Arm Prostheses: A Partnership Between Man and Machine,” The Japanese Journal of Rehabilitation Medicine, vol. 52, no. 2, pp. 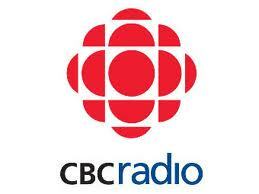 91–95, 2015. S. Adamia, M. Bar-Natan, B. Haibe-Kains, P.M. Pilarski, C. Bach, S. Pevzner, T. Calimeri, H. Avet-Loiseau, L. Lode, S. Verselis, E.A. Fox, I. Galinsky, S. Mathews, I. Dagogo-Jack, M. Wadleigh, D.P. Steensma, G. Motyckova, D.J. Deangelo, J. Quackenbush, D.G. Tenen, R. Stone and J.D. Griffin, “NOTCH2 and FLT3 gene mis-splicing are common events in patients with acute myeloid leukemia (AML): new potential targets in AML,” Blood, Vol. 123(18), pp. 2816–2825, 2014. doi:10.1182/blood-2013-02-481507. S. Adamia, B. Haibe-Kains, P. M. Pilarski, M. Bar-Natan, S. Pevzner, H. Avet-Loiseau , Laurence Lode L. Lode, S. Verselis, E. A. Fox, J. Burke, I. Galinsky, I. Dagogo-Jack, M. Wadleigh, D. P. Steensma, G. Motyckova, D. J. DeAngelo, J. Quackenbush, R. Stone, J. D. Griffin, “A Genome-wide aberrant RNA splicing in patients with acute myeloid leukemia identifies novel potential disease markers and therapeutic targets,” Clinical Cancer Research, Vol. 20(5): 1135–45, 2014. doi:10.1158/1078-0432.CCR-13-0956. L.M. Pilarski, C. Debes Marun, L. Martin, C.P. Venner, P.M. Pilarski, A.R. Belch, “B Lymphocytes as Cancer Stem Cells in Multiple Myeloma,” Journal of Oncopathology, Vol. 1(2): 11–22, July 2013. L.M. Pilarski, P.M. Pilarski, A. Belch, “Multiple Myeloma may include microvessel endothelial cells of malignant origin,” Leukemia and Lymphoma, Vol. 51(4): 592-597, 2010. S. Adamia, P.M. Pilarski, A.R. Belch and L.M. Pilarski, “Genetic abnormalities in Waldenstrom's Macroglobulinemia,” Clin. Lymphoma and Myeloma, Vol. 9(1): 30-32, 2009. Pilarski, L.M., Reiman, T., Pilarski, P.M., Orr, F.W., Belch, A.R., “The Malignant Hierarchy in Multiple Myeloma: Relationships Between Malignant Cells and Bone Disease.” Bone Metastasis and Molecular Mechanisms, Chapter 7, pp. 109-138, Editors: Singh, G. and Orr, F.W., Kluwer Academic Publishers, 2004. L.M. Pilarski, S. Adamia, P.M. Pilarski, R. Prakash, J. Lauzon, and C.J. 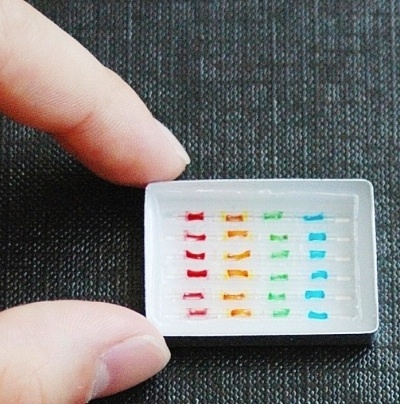 Backhouse,“Improved diagnosis and monitoring of cancer using portable microfluidics platforms,” Proc. of the 2004 International Conference on MEMS, NANO and Smart Systems (ICMENS'04), pp. 340-343, Editors: Badawy, W. and Moussa, W., Banff, Canada, 2004. A. Kearney, V. Veeriah, J. B. Travnik, R. S. Sutton, P. M. Pilarski, “TIDBD: Adapting Temporal-difference Step-sizes Through Stochastic Meta-descent,” arXiv:1804.03334 [cs.LG] (arXiv): 9 pages, 2018 (v1 from May 19, 2017). C. Sherstan, M. C. Machado, P. M. Pilarski, “Accelerating Learning in Constructive Predictive Frameworks with the Successor Representation,” arXiv:1803.09001 [cs.LG] (arXiv): 6 pages, 2018. J.B. Travnik, K.W. Mathewson, R.S. Sutton, P.M. Pilarski, “Reactive Reinforcement Learning in Asynchronous Environments,” arXiv:1802.06139 [cs.AI] (arXiv): 11 pages, 2018. P. M. Pilarski, R. S. Sutton, K. W. Mathewson, C. Sherstan, A. S. R. Parker, A. L. Edwards, “Communicative Capital for Prosthetic Agents,” arXiv:1711.03676 [cs.AI] (arXiv): 33 pages, 2017. K. W. Mathewson, P. M. Pilarski, “Actor-Critic Reinforcement Learning with Simultaneous Human Control and Feedback,” arXiv:1703.01274 [cs.AI] (arXiv): 10 pages, 2017. Wininger, M., Artemiadis, P., Castellini, C., Pilarski, P., eds. (2018). Peripheral Nervous System-Machine Interfaces, 2nd Edition. Lausanne: Frontiers Media. doi: 10.3389/978-2-88945-490-7. Late 2017 and early 2018 contributions still to be added. Boser Q, Valevicius A, Lavoie E, Chapman CS, Pilarski PM, Hebert JS, Vette AH, “Comparison Of Anatomical And Cluster-Based Upper Body Marker Models,” 40th Annual Meeting of the American Society of Biomechanics. Raleigh, North Carolina. August 2-5, 2016. Valevicius A, Boser Q, Lavoie E, Vette AH, Chapman CS, Pilarski PM, Hebert JS, “Normative Kinematic Data For Two Functional Upper Limb Tasks,” 40th Annual Meeting of the American Society of Biomechanics. Raleigh, North Carolina. August 2-5, 2016. P. A. Toniolo, P. M. Pilarski, C. Bach, J.D. Griffin, S. Adamia, “MicroRNAs as potential therapeutic agents for AML: Targeting the AML1-ETO Oncogene by pre-miR-520 and-373,” Proceedings of the AACR 106th Annual Meeting, April 18-22, Philadelphia, PA, 2015; and Cancer Research 75 (15 Supplement), pp. 3972-3972. A.S.R. Parker, P.M. Pilarski, “Intelligent Communication and Control of Prosthetic Limbs,” 3rd Annual Undergraduate Research Symposium (University of Alberta, Edmonton, Alberta, Canada, November 22, 2013, abstract and poster presentation). J.S. Hebert, K.M. Chan, J. Olson, P.M. Pilarski, and M.R. Dawson, “A Novel Targeted Sensory Reinnervation Method to Improve Function of Myoelectric Prostheses after Arm Amputation,” 2012 ACRM-ASNR Annual Conference: Progress in Rehabilitation Research (Vancouver, Canada, October 9-13, 2012; abstract and 90 minute symposium session). P.M. Pilarski, T. Degris, and R.S. Sutton “Small-Timescale Reinforcement Learning for Power Management on a Mobile Robot,”2010 Alberta Power Industry Consortium Power and Energy Innovation Forum (Edmonton, Canada, Nov. 4, 2010, invited poster presentation). P.M. Pilarski, M.R. Dawson, T. Degris, F. Fahimi, J. Carey, and R.S. Sutton, "Continuous Actor-Critic Methods for Adaptive Prosthetics," in proceedings of the 2010 MITACS / CORS Joint Annual Conference (Edmonton, Alberta, May 25-28, 2010; abstract and oral presentation). A. Mahmood, T. Degris, P.M. Pilarski, and R.S. Sutton, "Robust Step-size Adaptation for Online Optimization," in proceedings of the 2010 MITACS/CORS Joint Annual Conference (Edmonton, May 25-28, 2010, abstract, poster, and oral presentation). P.M. Pilarski, X.T. Su, D.M. Glerum, and C.J. Backhouse, "Disease Characterization Using Wide-Angle Light Scattering Patterns", in proceedings of the iCORE Alberta Electrical and Computer Engineering Graduate Research Symposium (University of Alberta, Edmonton, 22 June 2009, abstract and poster). S. Adamia, A. Reichert, A. Ghosh, J. Hodges, P. Pilarski, S. Treon, M.J. Mant, T. Reiman, A.R. Belch, and L.M. Pilarski, "Gerraline and somatic mutations in the hyaluronan synthase-1 (HAS1) gene may contribute to oncogenesis in multiple myeloma (MM) and Waldenstrom's macroglobulinemia (WM)," Blood, Vol. 110(11): 733A-734A, 2007. Pilarski, P. M., Sieben, V. J., Marun, C. D. & Backhouse, C. J., "Computer vision for fish screening in myeloma", in proceedings of the XIth International Myeloma Workshop (Kos 2007, poster), and Haematologica - The Hematology Journal, Vol. 92: 108-108, 2007. Sieben, V. J., Debes-Marun, C., Pilarski, P. M.; Kaigala, G. K., Pilarski, L. M. & Backhouse, C. J., "Microchips for optimized fish screening in myeloma," in proceedings of the XIth International Myeloma Workshop (Kos 2007, oral), and Haematologica - The Hematology Journal, Vol. 92: 64-65, 2007. V. J. Sieben, C. S. Debes-Marun, P. M. Pilarski, G. V. Kaigala, L. M. Pilarski, and C. Backhouse, "FISH AND CHIPS: Chromosomal analysis utilizing microfluidic platforms," in proceedings of Nanotechnology in Biomedicine (Keystone) (Tahoe City, California, USA, 2007, poster). P.M. Pilarski, V.J. Sieben, C. Debes Marun, and C.J. Backhouse, "An artificial intelligence system for detecting abnormal chromosomes in malignant lymphocytes," proceedings of the iCORE Alberta Electrical and Computer Engineering Graduate Research Symposium (University of Alberta, Edmonton, 04 May 2007, abstract & poster). Debes Marun CS, Sieben V, Pilarski PM, Reiman T, Belch AR, Pilarski LM. "FISH and Chips: Novel Point of Care Technology to Detect Chromosomal Abnormalities", Blood 108: 971a, 2006. Adamia S, Hodges J, Pilarski PM, Teron S, Mant MJ, Reiman T, Belch AR, Pilarski LM. "Accumulation of inherited and acquired mutations in hyaluronan synthase 1 gene may contribute to oncogenesis in multiple myeloma and Waldenstrom's macroglobulinemia", Blood 108: 980a, 2006. Pilarski, P.M., Sieben, V.J., Debes Marun, C., Backhouse, C.J., "An Artificial Intelligence System for Detecting Abnormal Chromosomes in Malignant Lymphocytes", in proceedings of the Candian Society for Immunology conference (Halifax, Nova Scotia, 2006, oral, abstract, and poster). Pilarski, P.M., Siu, N., Iverson, L., "Email Redirected: A User-centric Reinvention of Email Clients", in proceedings of the Advanced Systems Institute of British Columbia ASI Exchange 2004 (Vancouver , Canada, 2004, abstract and poster) . Pilarski, P.M., Prakash, R., Adamia, S., Kaler, K.V.I.S., Backhouse, C.J. " Microvalving in Genetic Analysis Systems", poster for the International Conference on MEMS, Nano and Smart Systems (IEEE Conference) (Banff, AB, 2003). Adamia, S., Pilarski, P.M., Lauzon, J., Backhouse, C.J., Pilarski, L.M. "Microfluidics Platforms for Molecular Monitoring of Human Cancer", in proceedings of the Alberta Cancer Board Annual Research Meeting ( Banff , AB, 2003, abstract and poster). Adamia, S., Footz, T., Prakash, R., Pilarski, P.M., Pilarski, L.M., Backhouse, C.J. "Microfluidics platforms for genetic analysis", in proceedings of the American Society for Microbiology Bio-, Micro-, Nanosystems (New York, 2003, abstract and poster). Adamia, S., Pilarski, P.M., Prakash, R., Lauzon, J., Backhouse, C.J. and Pilarski, L.M. "Microsystems and Cancer: Improved Detection of Disease Related Genes in Myeloma Patients Using Microfluidics Platforms", in proceedings of the Annual Meeting of the American Society of Hematology (San Diego, CA, 2003, abstract) and Blood 102 (11): 2528, 2003. “Advances in Machine Intelligence for Assistive Technologies,” Invited talk for the Spinal Cord Injury Community-Research Engagement Symposium, Calgary, Dec. 12, 2017. “Gazing into the future of upper limb rehabilitation: The relevance of outcome measurement,” P. M. Pilarski & J. Hebert, invited talk, Campus Alberta Neuroscience Symposium 2017, Calgary, AB, Oct. 26, 2017. “Making the Most of Data from Brain-Body-Machine Interfaces,” Lunchalytics, Edmonton, Sept 20, 2017. “Measuring the Future of Brain-Body-Machine Interfaces: An Initial Position,” P. M. Pilarski, invited talk, American Orthotic & Prosthetic Association (AOPA) World Congress, Symposium on Multi-Scale Integration in Upper Limb Prosthetics, September 9th, 2017, Las Vegas, NV, USA. “Reinforcement Learning Algorithms for Acquiring and Using Predictive Knowledge,” invited seminar speaker, for IBM Research - Zurich, Ruschlikon, Switzerland. Oct. 7, 2016. "Communicative Capital: Bridging the Gap between Users and their Assistive Technology," Invited talk for the Workshop on Advanced Intelligent Mechatronics for Neuromuscular Rehabilitation and Recovery Assessment in the 2016 IEEE International Conference on Advanced Intelligent Mechatronics (AIM2016), Banff, Alberta, Canada, July 12-15, 2016. "Machine Learning (and why you should care)," keynote, 2016 Student Developer Conference, Shaw Conference Centre, Edmonton, Alberta, March 12, 2016. 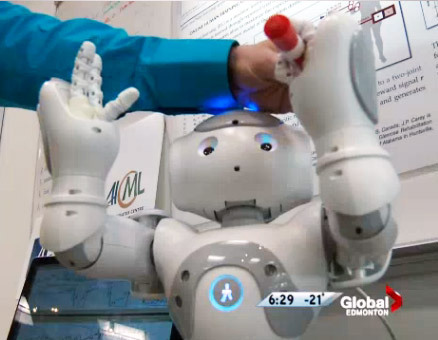 "Smart Parts and Better Bionic Bodies", invited talk for Dark Matters: Robots, IMAX Theatre, Telus World of Science, Edmonton, March 10, 2016. “Novel Control Strategies for Arm Prostheses - a Partnership between Man and Machine,” K. M. Chan & P.M. Pilarski, invited keynote for the 51st Japanese Association of Rehabilitation Medicine 2014 Annual Scientific Meeting, Nagoya, Japan, 5 June 2014. “Recent Advances in Upper-Limb Prosthetic Technology,” P.M. Pilarski, invited seminar for the International Society for Prosthetics and Orthotics (ISPO), Prosthetic & Orthotic Department, Queen Elizabeth Hospital, Hong Kong, China, 31 May 2014. “Knowledgeable neuroprostheses: machine intelligence for the improved control of next-generation artificial limbs,” invited seminar for Centre for Neuroscience Seminar Series, Edmonton, AB, Canada, Feb. 03, 2014. Panel member for "Off-loading Intelligence—When Machines Decide," Alberta Council of Technologies / Alberta ICT Council Machine Learning Forum (Edmonton, June 1, 2010). "Machine Learning and Image Analysis for Lab-on-a-Chip Medical Diagnostics", P.M. Pilarski, invited seminar for Department of Computing Science Artificial Intelligence Seminar Series (University of Alberta, September 2009). "Computational intelligence and computer vision for use with emerging micro­ and nano­technology devices", P.M. Pilarski, invited seminar for the Reykjavik University School of Computer Science and School of Science and Engineering (Reykjavik University, Iceland, October 14, 2008). "A New Look at Rapid Medical Diagnostics", P.M. Pilarski, invited presentation for the University of Alberta Senate (Univeristy of Alberta, January 2008). "Nanobiotechnology: lab-on-a-chip for rapid medical diagnostics", P.M. Pilarski, invited talk, Operating Room Nurses of Alberta Annual Conference (Red Deer, Alberta, Oct 25, 2007). "Nanobiotechnology", P. M. Pilarski, V.J. Sieben, G.V. Kaigala, The Alberta Clinical Engineering Society Telehealth Educational Series (University of Alberta, Edmonton, 21 February 2006). "A Computational Method for Rapid Cellular Identification", P. M. Pilarski, 1st Annual Electrical and Computer Engineering Graduate Students' Association Conference (University of Alberta, Edmonton, 27 January 2006). "Cellular Level Computing: rapid medical diagnostics for cancerous cell identification", P. M. Pilarski, invited research presentation, Netera Days: Exploring New Tools For Research (University of Alberta, Edmonton, 12 October 2005). "Thinking Small: An Introduction to Nanotechnology", P. M. Pilarski, invited presentation for FGSR Outreach - Peace River Highschool (University of Alberta, Edmonton, June 2005). "Ants Marching: Swarm-Based Feature Characterization", P. M. Pilarski, invited research presentation, Facility for Advanced Computational Intelligence and Applications (University of Alberta, Edmonton, November 2004). "Intelligent Microvalving in Genetic Analysis Systems", P. M. Pilarski, invited research presentation, Cross Cancer Institute (Edmonton, July 2003).